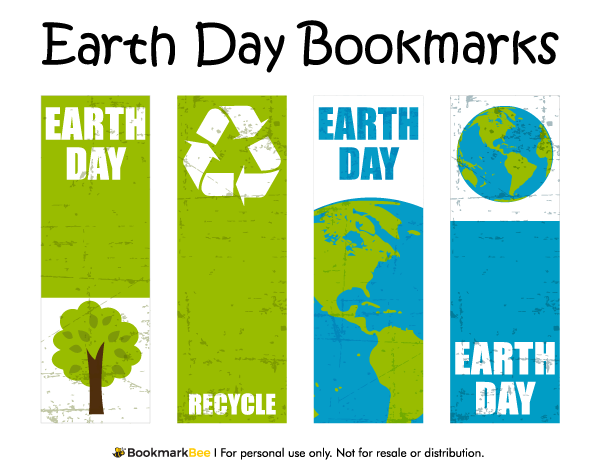 Earth Day-themed bookmarks with graphics of trees, the earth, and a recycle symbol. The bookmarks include the text "Earth Day" or "Recycle." Download a free version of this bookmark below. Note that the free version includes a watermark on each bookmark, but we do offer a bundle of all bookmarks without the watermark.